Winship Cancer Institute medical oncologist Omer Kucuk, MD, has authored an editorial in the journal Cancer that recommends women consume soy foods to help prevent breast cancer and improve the prognosis of those currently undergoing treatment. Kucuk, who is an expert in integrative medicine, nutrition and cancer prevention, has studied the use and impact of soy isoflavones for more than two decades. Kucuk says "we now have evidence that soy foods not only prevent breast cancer but also benefit women who have breast cancer. 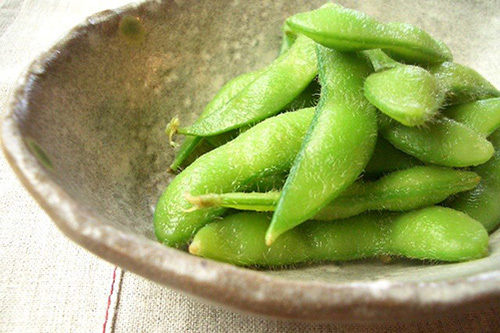 Therefore, we can recommend women to consume soy foods because of soy’s many health benefits." Soy isoflavones are known to have cancer-fighting properties that include epigenetic, metabolic, immunologic and anti-inflammatory effects. To get the maximum benefit of soy isoflavones, Kucuk explains that they should be regularly consumed throughout a person's lifespan. As an integrative medicine expert, he also emphasizes that soy protein and isoflavones are among the best functional foods and nutraceuticals for preventing treatment side effects and improving quality of life of cancer patients and survivors. Read the full editorial in Cancer.